This is a bit of a follow-on from my old-world screenshot post a few days ago. I was unhappy with the quality of many of the images I’d taken – I was getting horrible JPEG artefacts, especially in images with subtle shading such as sky, water and so on. Back in the early days of Vanilla, Warcraft used to capture and store screenshots in the lossless TARGA (or TGA) format. Nowadays they’re stored using JPEG encoding – a lossy compression algorithm that can have a huge impact on your screenshots. I’d been wondering if there was a way of improving the quality of JPEG quality screenshots, or even getting back to the TGA format previously used. A bit of searching revealed an old WoW Insider blogpost from some 3 years ago, containing a set of instructions on how to control screenshot quality. It turns out that there are two simple commands that you can use in-game to get rich, detailed screenshots switched back on. The first of these commands controls if JPEG or TGA format is used. The default is JPG. Simply swap JPG to TGA to enable TARGA screenshot mode. The second command allows you to control the screenshot quality. As standard this is set at 3. A quality setting of 1 reduces the filesize of the screenshot at the cost of quality. A setting of 10 provides the best quality, but creates larger files. As I mentioned before, JPEG compression tends to have it’s largest impact on areas that have either subtle shading or solid tones. But where do these crop up in your average Warcraft screenshot? 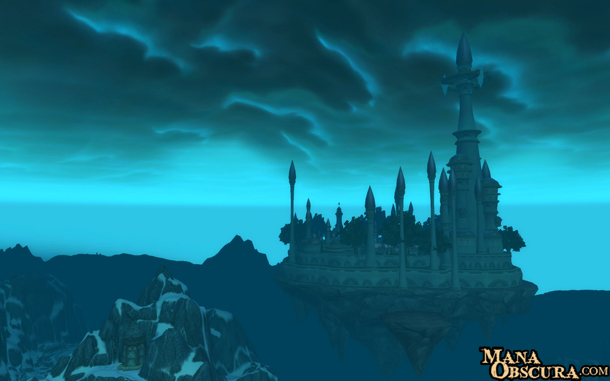 This scene of Dalaran was originally taken at 1680×1050, on Ultra detail settings. It was then reduced down to its current size in an image editor. By focusing in on the left hand side of the horizon, it’s possible to see the impact of the various quality settings. These segments are shown at full size, and clearly demonstrate the effect of quality settings. The mountains in the far background develop bands of noise. The midground mountain on the left is almost lost in the noise on lower quality settings. Next up, a sky test. This one’s a bit more difficult to make out as the aurora keeps moving around, but the principle is the same. For this example, we’ll be focusing on the area around the left edge of the right-hand pillar. This set of examples shows the colours banding across the sky, banding where the auroras become visible. If you look closely, you can also see noise where the background mountain meets the sky. Both of these issues are largely removed at the highest quality settings. Getting good quality screenshots by ramping up these settings means you’re going to be creating larger files. A typical screenshot at standard settings (JPG quality 3) will weigh in at around 200kb. Bump that up to quality 10 and the images will be around 1.3Mb in size. Swap to TARGA and that goes up to around 3.5MB each. Sizes will vary depending on how complex the image is and your screen resolution. So if you’re the type of person that likes to hammer the screenshot button, you might want to be careful about changing those settings. If on the other hand you want to take the perfect pictures to show off to your guildmates then tweak the settings upwards! 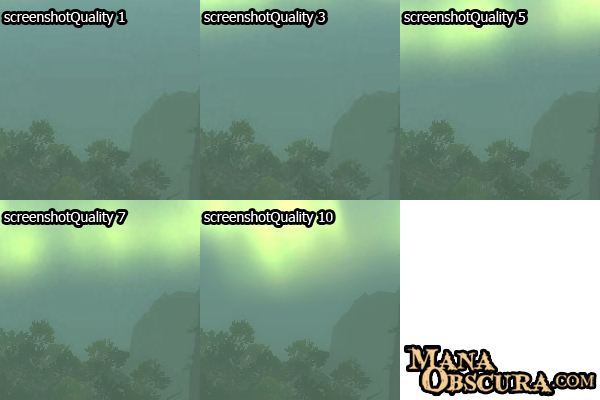 There are currently no addons that I know of that allow you to dynamically control screenshot quality and format. If you know of one or even decide to write one then please let me know! This entry was posted on Friday, November 26th, 2010 at 12:48 pm	and is filed under Warcraft. You can follow any responses to this entry through the RSS 2.0 feed. Both comments and pings are currently closed. There’s a really old plugin for Fubar that gives you some control over quality settings etc ingame, although I can’t remember whether you can flip between Targa and JPEG formats. Cheers for the tip, I’ve taken a look and found a Broker version last updated back in March. I’ll give it a try and see if it still works. I agree with editing the config.wtf file though. 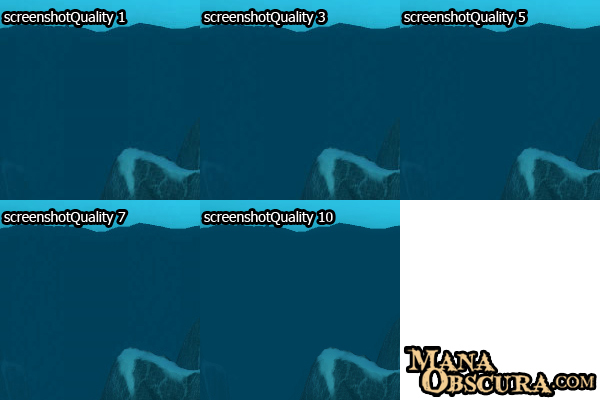 Just adding SET screenshotQuality 10 should do the job. Multishot will let you adjust the screenshot quality for jpgs and the output format. Ach, this is the problem with relying on Curse for all my addons. Thanks for the tip though, I’ll check it out! Thank you for posting this, I’ve been looking for a way to improve the quality of my screenshots. This is awesome, Gaz! I didn’t even know there were such settings. Thank you! You’re both welcome! I had no idea it existed either, so I thought I’d share what I found out. I’m just glad it’s useful to people. I’ve not noticed too big an effect on my hard disc from taking targas but I think it does discourage me from taking as many screenshots as I otherwise might. Recently I began using a batch converter to periodically make all my TGAs into PNGs (since I never need higher quality than that) to save space and make the images easier to browse – I’ll see if that encourages me to take more shots. On the plus side, the shots that I do take turn out absolutely beautifully, especially since 4.x! Aye, I tend to use JPGs or GIFs for that very reason – to save on bandwidth. That said, I also get problems sometimes where a picture I produce gets linked everywhere, eating up my bandwidth to support their site rather than my own. It’s why I tend to watermark every image or screenshot I upload, as it makes this less likely. And I agree, the changes made in 4.0 really make for some beautiful screenshots! 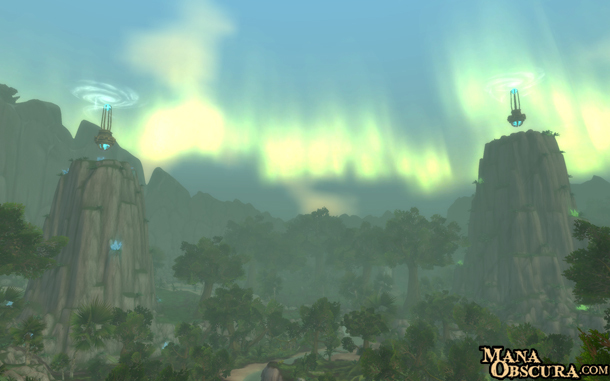 I take lots of screenshots, so most of the time, I use the regular WoW screenshot tool with the default JPG settings. I also have Gadwin Printscreen running in the background, to take lossless PNG screenshots in Windows generally. I have the two set to different keybindings — WoW’s screenshot tool bound to both ` (conveniently near W A S D and the number keys) and Print Screen, and Gadwin Printscreen bound to just Print Screen — so I have my choice of which to use. Thanks for this very instructive guide. I’ve recently started a WoW screenshot blog where I’ve been compiling tips like these, and I’ve included your page. What I’m wondering, though, is if there’s an addon or macro that would allow you to easily adjust the various display settings in your interface. For example, I find myself toggling player/NPC names or combat text on and off, and I’m looking for a one-button method for doing it so I don’t have to open up my settings every time. I’m sure there’s an easy setCVar() macro for doing this, but I don’t know what the parameters or properties would be.